Today I am sharing with you one of the swaps I made for On Stage Local. I made a clean and simple card front using the Acorny Thank You stamp set paired with the Petals & Paisleys Specialty Designer Series Paper. 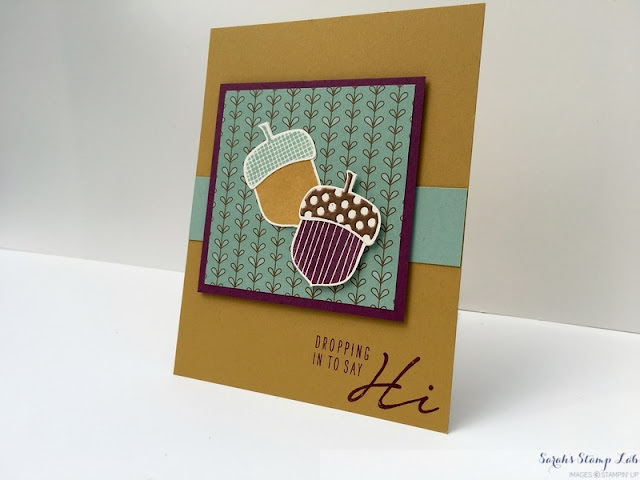 I used the "Dropping In to Say Hi" sentiment because, even though I have acorns on the front, I didn't want the card to be overly Autumnal in theme. 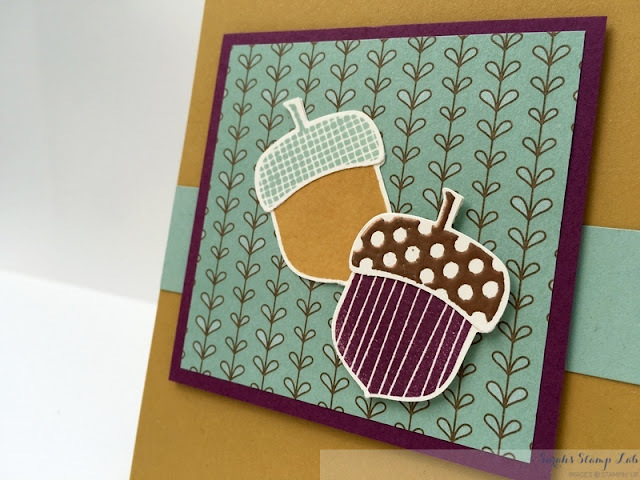 To add some interest to the acorns, I did some heat embossing. 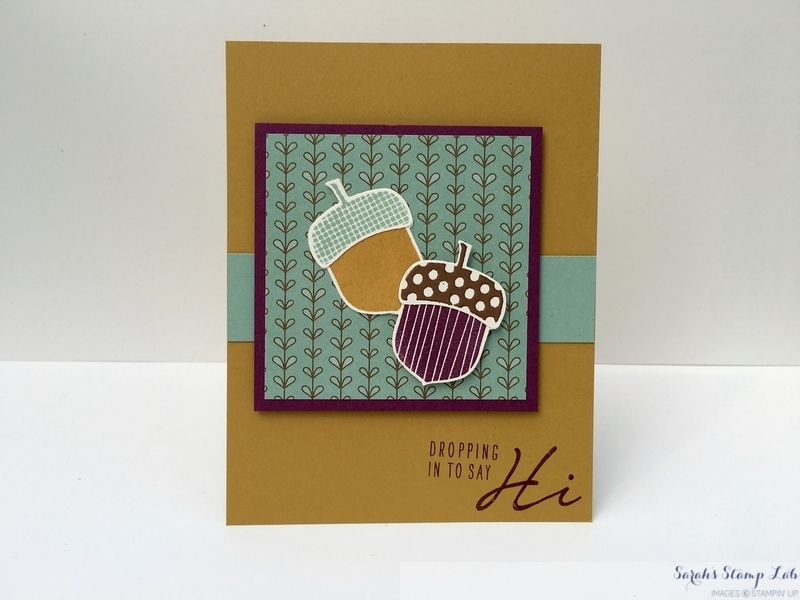 The new Copper Stampin' Emboss powder is one of my favorite things. I use it all of the time. It's such a refreshing new metallic shade to use. The coordinating punch lets you cut out the acorns super fast and easy. No fussy cutting and no need to lug out the Big Shot!